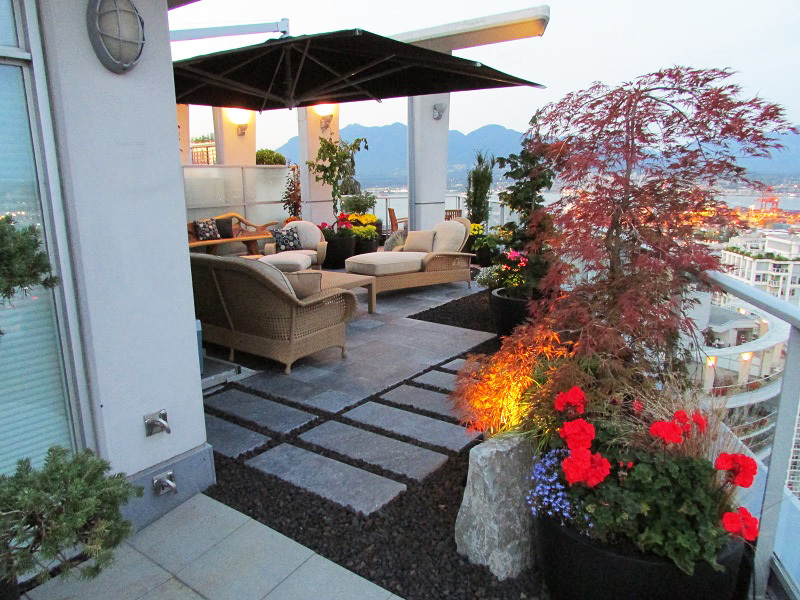 Para Space received this award for our landscape installation work at this single family residence. 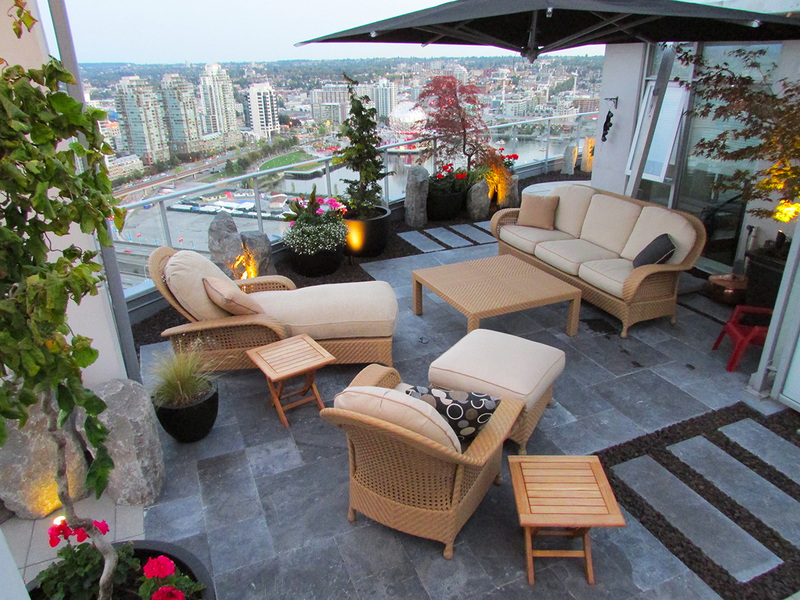 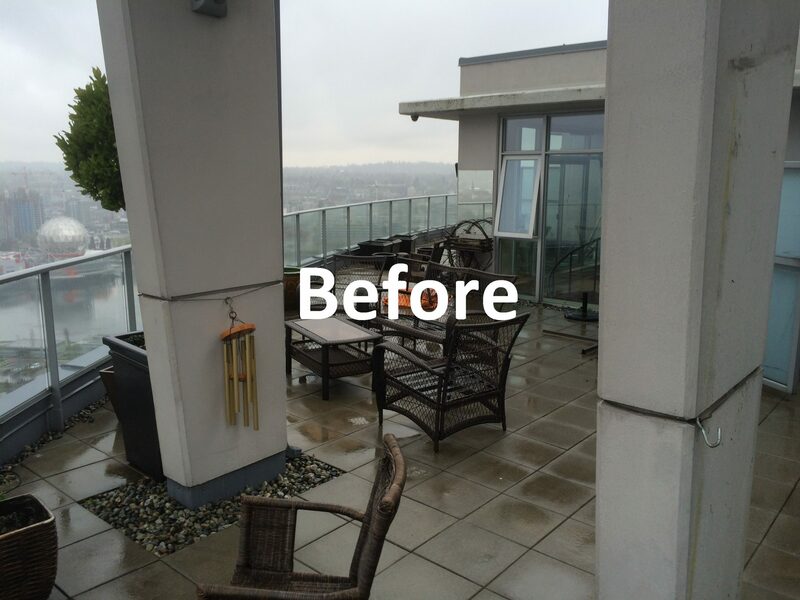 This 36th floor condo patio provides plenty of living space and amazing views. 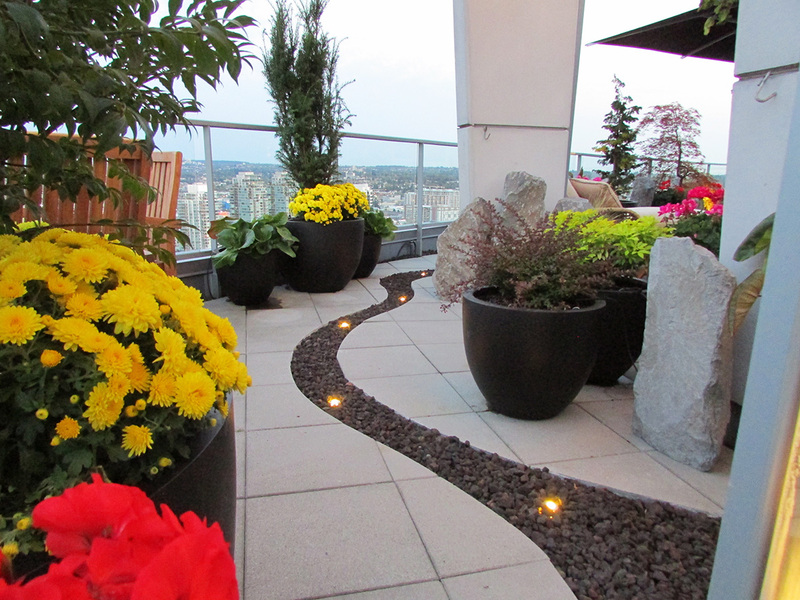 The challenge was to create a personal oasis in the city without obstructing the scenery. 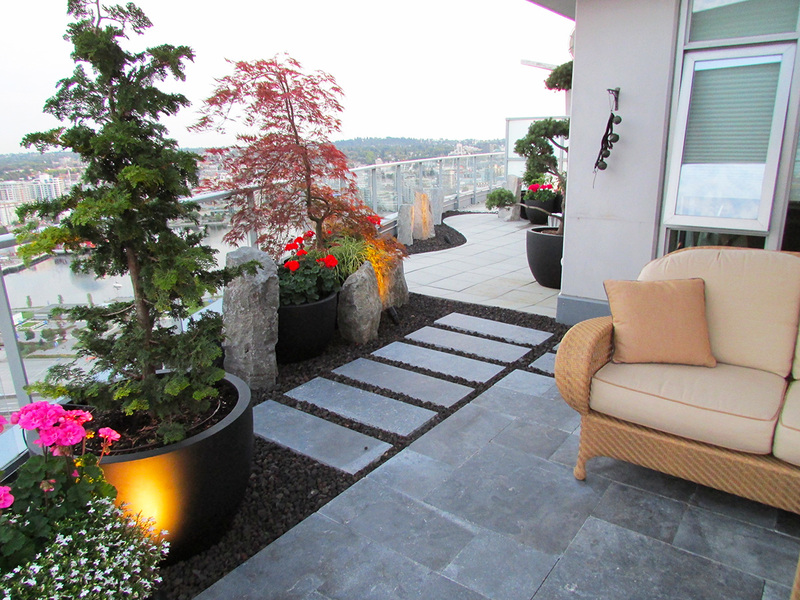 Use of stone pavers, crushed lava rock and basalt boulders helped bring a more natural feel to this semi-formal design. 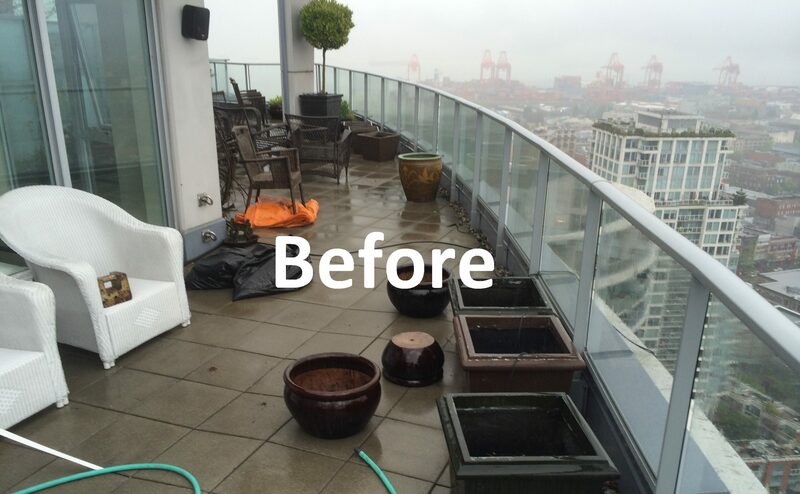 Careful placement of pots and select plantings also helped to soften this inner city hardscape.